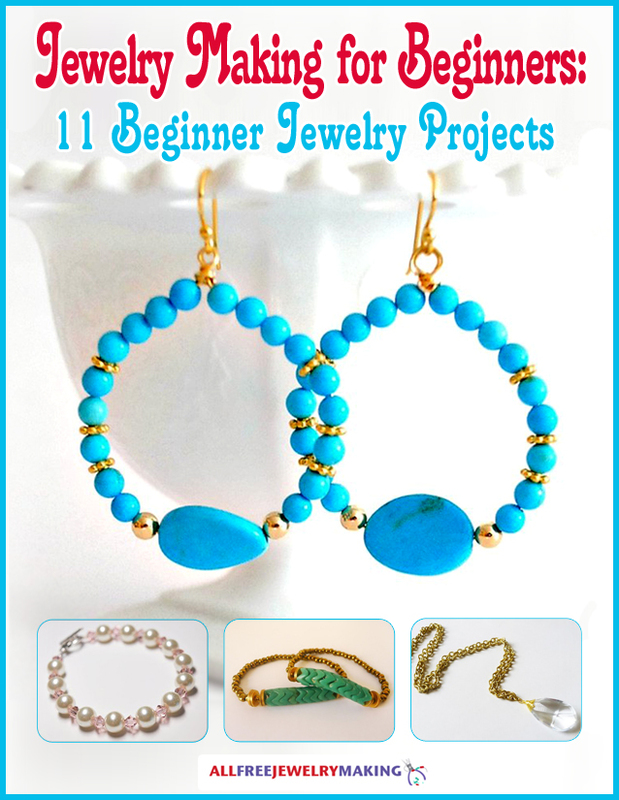 This easy project for jewelry making with beads offers a quick and easy way to make some cute rings. This simple yet elegant turquoise and pearl ring is the perfect thing to add a little sophistication to your everyday outfits. Learn how to make a pearl ring with a beautiful turquoise accent with this beaded DIY ring tutorial. Pearls symbolize faith and honesty and turquoise is a symbol of friendship. So, this homemade ring is the perfect gift to give to a loyal friend. If you like this beaded ring pattern, you'll love all the other free jewelry patterns in our 12 Free Jewelry Projects to Make This Evening eBook! At first I thought this was a stretch ring but then I read the directions and saw it wasn't. I like how you bring the ends together. This would work on any ring. I want to make a bunch of them now. An emerald colored stone with pears is my first project. Then a dark sapphire blue with pearls. Thank you for sharing this idea.